This is a sponsored post written by me on behalf of Disney. All opinions are entirely my own. I was never one to buy my lunch at school. My oldest three kids are the same way. They prefer to take their lunch to school, which is a great way for us to save money in the budget. Buying lunch at school can really add up, especially for multiple children. Currently, my middle two kids are the ones who need a lunch every day at school. I like to give them a variety of things to eat from fruits and veggies to sandwiches and cheeses. Our whole family loves cheese as a snack, so I often put it in their lunches, too. 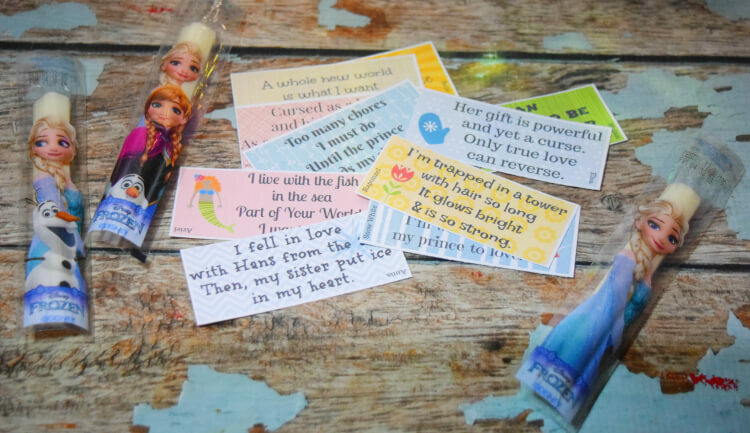 One of our favorites is Disney Frozen® String Cheese. I found it at Kroger. It’s made with milk and is a great source of calcium and protein. It’s a great wholesome and responsible choice for kids. Plus, it’s so versatile! It’s perfect for the lunch box, but it’s also great for on-the-go snacks or after school snacks. Frequently, I’ll bring a bag of after school snacks for my middle daughter and my toddler to share while we’re waiting to pick up their older brother. 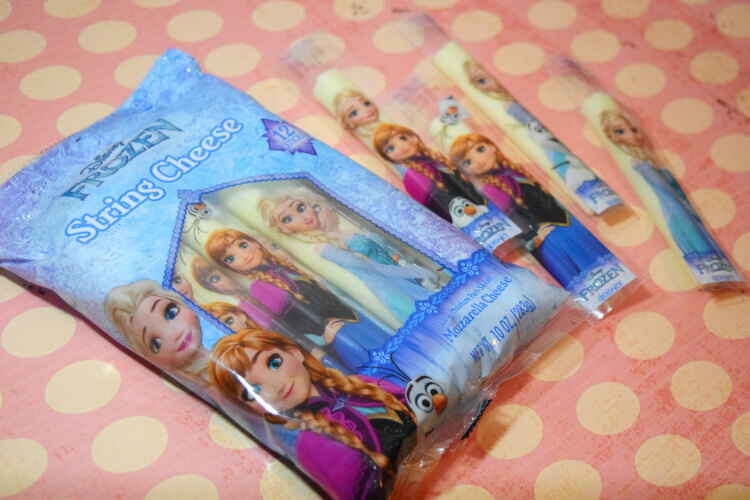 I always like to include Disney Frozen String Cheese because it’s just so easy and quick. Even I like to snack on it. Not only does it taste great, but it’s no mess for eating on the go. All of my kids love puzzles and riddles. Frequently on road trips or even at the dinner table, we all like to play word games or figure out riddles. My kids also love to share these types of games with their friends at school. Lunch time is one of their favorite times at school because they can just hang out with their friends and talk. I love to include little notes in their lunch boxes for each kid to find. Sometimes they are little notes with a little drawing or two to tell them I love them or believe in them or good luck on a test. Other times, they are jokes to share with their friends. Their favorites are riddles or trivia questions they can share with friends while they eat. With four kids, I don’t always have time to write notes in their lunches. I have found if I print out a PDF of several and cut them out ahead of time and just keep them in a zipper baggie in a kitchen drawer, I’m much more likely to remember to pop one in the lunch. I’ve made it easy for you and me! 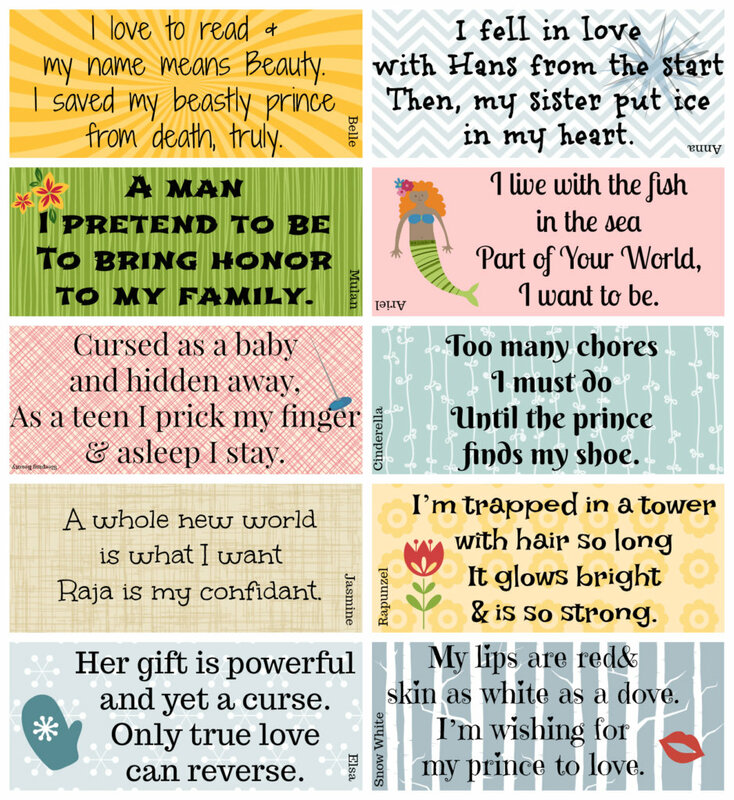 You can download this PDF with 10 Disney Princess riddles to include with your kids’ lunch boxes whenever you give them Disney Frozen String Cheese. They will totally get a kick out of these riddles. Just click the image below to download your own copy! In the download, I’ve included a set with the answers and a set without the answers, so you can make it easy or hard. Sometimes I like to leave them off because then we discuss it when I pick them up. 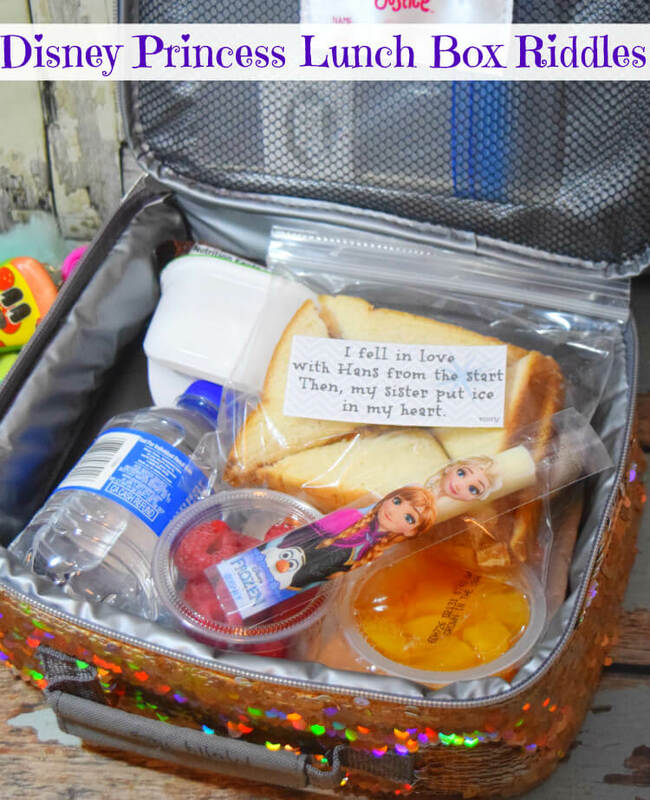 I am always looking for great ideas to make their lunch time a little more fun and engaging with their friends, so please leave a comment with what notes you like to put in your kids’ lunches. Also, you can earn cash back with this Ibotta offer. Love ideas like this? 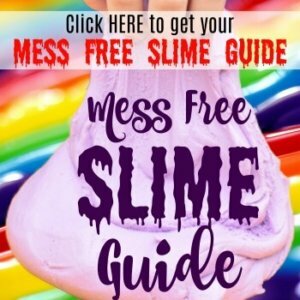 You can find even more fun kid’s activities and lunch box tips for moms at cheeseadventures.com. Head over and check it out! There are some really great fun ideas! These are so cute especially with the princess inspired food.